If you think you may be eligible for the "old style" Free school meals, please pop in to reception and collect a form. 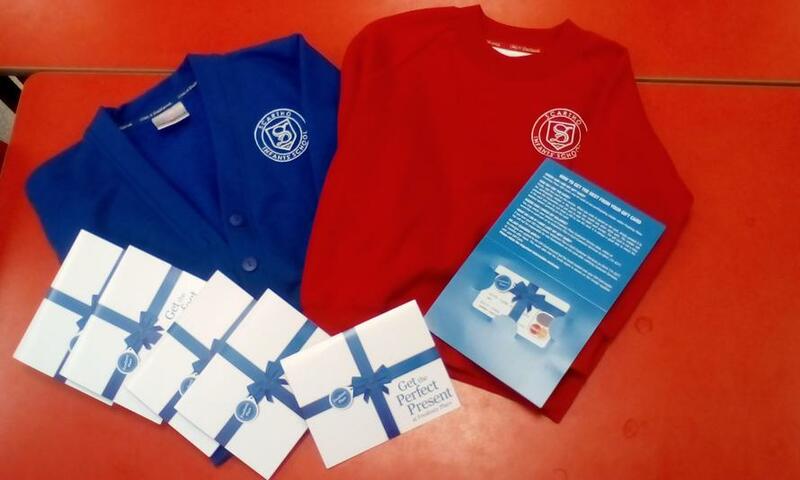 You could be entitled to extra funding for the school to assist your child with learning and could also get a £20.00 Freshney Place Gift Card and a free school jumper! With effect from 1st September 2014 all infant children are entitled to receive a free school meal through the governments’ Universal Free School Meal Scheme. The hot school meal that we provide is through N.E.L.C. 's contract with Cygnet Catering. We can cater for vegetarian diets, diets required by a family’s religion and some medical conditions. If your child has any medically diagnosed dietary requirements then please contact Chartwells office before any meals are ordered, to enable the school to cater for your child's individual needs. Parents who prefer their child to have a packed lunch from home should provide it in a suitable container, clearly marked on the outside with the child's name. Please note that the school has no facilities to refrigerate packed lunches. We recommend their storage in a 'cool bag' type of container, particularly during the summer months. Don't forget to include a spoon for yoghurt type foods! The only drinks allowed to be brought from home in a 'packed lunch' are those in a disposable container e.g. carton or in a leak proof refillable bottle. Water is available for all the children. The school is committed to a philosophy of healthy eating and although we respect that the choice of content of packed lunches lies with the parent we may contact you if we are in any way concerned about the contents. Please note that if a school meal has been pre-ordered and your child is sent to school with a pack-up, then the school meal will be given to your child to eat. Menus are sent home each half term and parents select the meals for their child. (Extra copies of the menu and order forms may be downloaded from the link below). Meals must be ordered at least 1 week in advance. Children may not stay for occasional days. Our experience has shown that the previous system was confusing for parents opting for occasional days. Even though your child's meal will be free the meals have to be pre-ordered. Your completed form must be received each Monday by 8.55am, for meals to be taken the following week. Child Tax Credit with annual income of less than £16,190 (as assessed by Tax Credits) **Please note if you receive both Child Tax Credit and Working Tax Credit, you do not qualify for Free School Meals.